We've had our Neptune dryer since 2000. Over the years, we've heard a lot of bad comments about how poorly Neptunes work. The local appliance dealer told us that he's had no end of trouble with them, and he quit stocking them. In his opinion, they're nothing but junk. Apparently we have beaten the odds. We have never had one bit of trouble with ours. It takes huge loads of clothes and dries them like a champ. The lint filter is easy to access and clean. There are many different settings for timed and automatic drying, and it works well for us on every setting. We have moved long-distance twice during the years we’ve owned our Neptunes, and they have weathered moving well and shown no ill-effects. I know the Neptune models have undergone many changes since we purchased ours to correct problems from poor seals to bad motors. The Maytag company has also gone out of business and sold to Whirlpool. We do have a bit of the musty smell in the washer that others have complained about, but our dryer has been topnotch in all ways. In fact, we’ve owned it longer than we’ve ever owned a dryer, and my husband hasn’t had to do any repair work on it at all. That’s a great dryer in my book! I've had my Neptune dryer since 2000 with absolutely no issues. That's 16 years!! It has a large capacity and many setting. I've gone through three washers, but my dryer still works like a charm. Still have the original clohtes dryer I think it's 10 years old and going strong. We are on our second Maytag Neptune Clohtes washer the main bearing was replaced third year but the New (going on three years)Neptune Washer is much improved and saves tons of water, we have well water, so if and when is brakes I wound not hesitate buying another. I have had my neptune since 2001 with a gas dryer and have found the pair to be trouble free and they do a great job on out laundry. This is the worst dryer I have ever owned. We bought the set brand new and have had nothing but problems. The washer has mold around the seal and the dryer continues to shut off and give us error codes. Now the dryer has completely stopped working giving us an error code 8.8. Maytag says there is no such error code and suggest we just begin replacing parts. Maytag appliances have a very good reputation for being reliable, so I was pleased to buy a Maytag Neptune clothes dryer from Lowe's several years ago. This has been a fairly reliable clothes dryer; however, it has had some problems. These problems have not been serious enough to warrant calling a repair service, however. There are many pros of the Maytag Neptune clothes dryer. 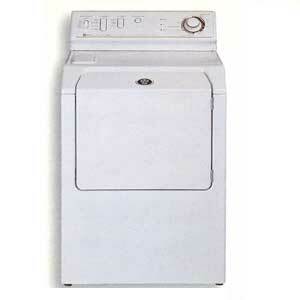 The dryer drum, or the inside portion of the dryer, is very large and so will accommodate lots of clothing. There are several settings for drying timing and temperature. The dryer has a sensor to determine when clothes are dry, and has a setting to dry according to the moisture sensor. This dryer does a good job of drying even when it is very full of clothes, or is drying items such as comforters, duvets, and coats that are very thick and retain a lot of moisture and are usually difficult to dry. There are cons of the Maytag Neptune clothes dryer. Most of these things have developed over time and were not problems when the dryer was first purchased. The dryer dries at an extremely hot temperature. This is probably part of the reason it dries well, but it is too hot even on the delicates settings for any delicate items. Even on the lowest or delicate temperature setting, clothing is hot to the touch when you remove it from the dryer. Second, the moisture sensor quit working after a few years. If you dry clothes on the moisture sensor setting, it runs indefinitely, you have to shut it off manually. The timed drying setting still works, but sometimes it is hard to know how long to set it for and it must be re-set after feeling the clothes to see if they are actually dry. This dryer was fairly expensive compared to other dryers, and I am not sure it is worth it. If all the settings worked properly, it would be an excellent dryer, but with several problems I am not sure I would recommend it. I am still fairly satisfied with it but wish it didn't run so hot and wish the moisture sensor worked. Does anyone know where to buy a new dryer filter for the Neptune dryer?